Curtains are the crowning touch in home decorating projects. Although window treatments definitely shouldn't be installed until all the messy work is done, you need to decide early in the planning stages what you want to accomplish by dressing your windows. You may want to make a room look larger or cozier or maybe you need to disguise some awful architectural feature or a wall-mounted air conditioner. Many of us simply want to let in light and minimize the neighbors' view. A well-chosen, properly installed window treatment is the answer! What style is your room? Window treatments define a room's style. Formal windows often include a combination of elements like pleated headers, sheers layered with heavier lined drapery, swags and jabots or valences. Complicated hardware can require professional installation and demanding fabrics may need dry cleaning. In contrast, country windows tend to be simpler. Curtains may have casings, grommets or tab tops for the rods to slip through. With casings, you might have fancy finials on the ends of the rod, or the mount might include a narrow plate shelf above it. With tab tops, you generally see the entire length of the rod (even when the curtains are drawn), so consider the choices in metal, painted, and natural rods - they can recede into the woodwork or steal the show. When choosing your curtain length, it's all a matter of taste. Sill and apron lengths are less formal than floor length – you can hang them just skimming the floor (by about 1-1/2 - 2") or “puddle” them for a more elegant look. Caught between the desire for more privacy and more light? Café Curtains are often the solution, with lots of possibilities in top valance treatments. You can raise the rod above the window to increase glass space or use two rods to hang a second valance in the same or a contrasting fabric. 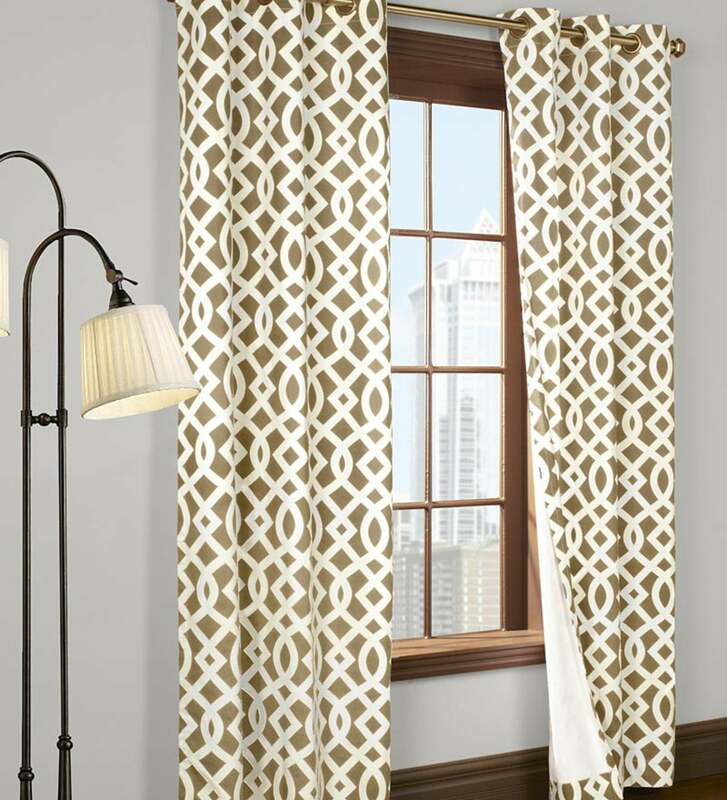 Insulated curtains offer a stylish and functional solution to window decorating. Insulated curtains work equally well in the winter and summer to reduce energy costs. Curtains lined with Thermalogic™ material reduce energy consumption by minimizing drafts and adding an additional layer of insulation. Insulated Curtains also keep out most sunlight, so you rest easier and sleep longer. In addition, they cut the glare on TV and computer screens, and reduce fading on carpets caused by direct sunlight. For windows or glass doors, Window Shades offer a clean and fitted look. Covering just the glass portion, shades leave the trim and walls around the windows uncovered. Easy to raise and lower without cords, they’re a simple and functional solution to managing privacy and light at any window. Blackout shades completely prevent light from entering the room. Outdoor Curtains help keep your outdoor living spaces cool, shaded and private. Our collection includes outdoor panels made from durable, easy- to-clean and fade-resistant Olefin material that will block 85% of UV rays. Air can still flow through the material reducing temperatures by 30%. Tension rods are available for outdoor installations. Measure Once…Then Do It Again! Proper measuring is essential for a good fit. Remember, the total area needs to be considered in terms of open and closed coverage. 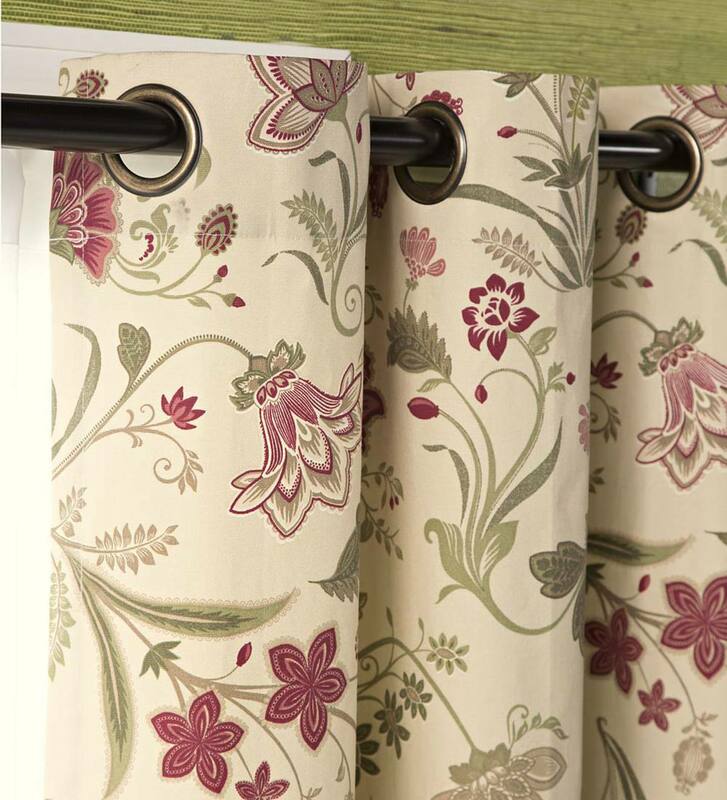 Measure the length from the rod, but keep in mind that a casing may be several inches from the actual top of a ruffled curtain, and tab tops and grommet tops hang directly from the rod. If you intend to pull curtains back with ties of some kind, you need to plan on more length so that the inner edge of the curtain still falls gracefully. What To Do With Tiny, Dark Windows? If you want to make a window look wider, attach wood blocks to the wall outside the upper corners of the molding, paint to match the walls, and mount the hardware on these blocks. You might gain as much as 6 inches on each side of a window, allowing more light to enter the room if the open curtains expose the entire glass area when they are entirely open. For more height, mount the blocks above the corners of the molding and consider curtain styles with wide, ruffled rod casings to hide them. Also consider mounting rods inside the frame if you want to show off interesting antique woodwork or a specialty paint job. Be sure to note the cleaning instructions for any curtains or drapery you buy, especially those for bathrooms or kitchens, which usually require more frequent cleaning. Look for easy-care fabrics that can be laundered at home, even if you want lined or insulated styles. After all, just because you want to stay warm in the winter and cool in the summer, you don't need to sacrifice washability!